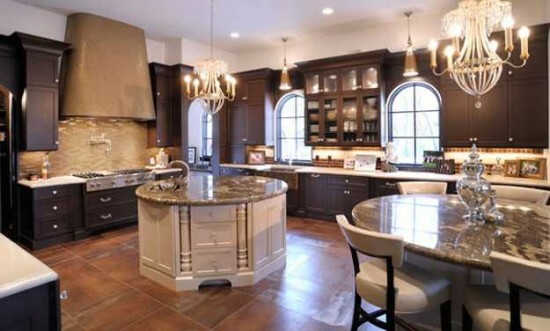 Nowadays people need a kitchen with stylish look and bring them artistic and elegant feel. The kitchen is the nucleus of the home where all the family is gathering, so it has to be welcoming and modern according to today’s style and trend. 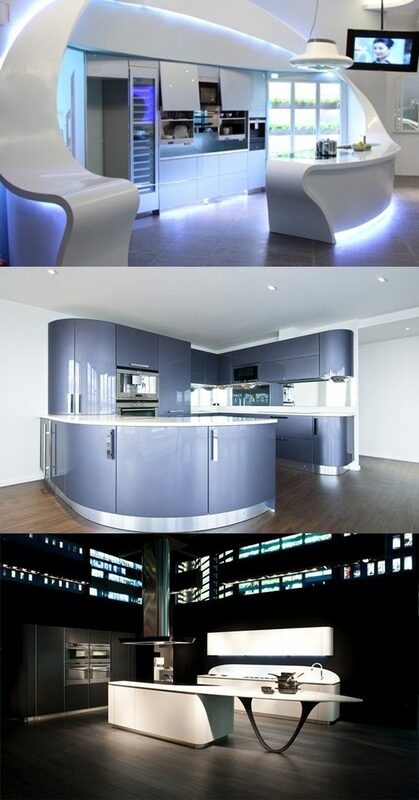 The contemporary kitchen is the best choice nowadays as it is futuristic and innovative. There is a new futuristic style so popular in Italia called Ola 20. This new trend is more contemporary, stylish and elegant. It is known by the smooth rounded corners, a table extension countertop with using the most advanced technology. The surfaces are painted by mica powder which makes the look more brighten, reflective and clean. The futuristic kitchen offers balance between efficiency and comfort, functional practical use and appealing look, by its futuristic furnishings starting from cabinetry, the unique sink, the worktop, the intelligent corner and the advanced appliance as well. The popular worktop materials are marble, granite, and stainless steel. The intelligent corner is the Italian style which intends to save space and keep your kitchen elegant. It is provided by removal baskets that offered more storage units. The kitchen appliances come with very advanced technique to be more modernized and effective. These appliances are like the refrigerator, dish washer, electric oven, micro-wave, etc. Some appliances like the refrigerator are coming with futuristic look, rounded top and curves, and some become more advanced such as electric induction cook tops. Other items which add a modern look and functional action are like warming-drawers, and barbecue grills as part of the cook top. The futuristic kitchen should have good visibility which affect on improving its functional use and on spreading an inviting atmosphere. So we have to take care about using the proper lightening on surfaces and into cabinets to enhance great look into the kitchen. Another important element is the right modern flooring made from safe material like non-slip tile types.